AirTrack Factory is world’s leading AirTrack manufacturer. With over 30 years of experience in producing inflatable sports equipment, they are proud to deliver the highest quality AirTracks and bring safe and durable training equipment to gyms all around the world. 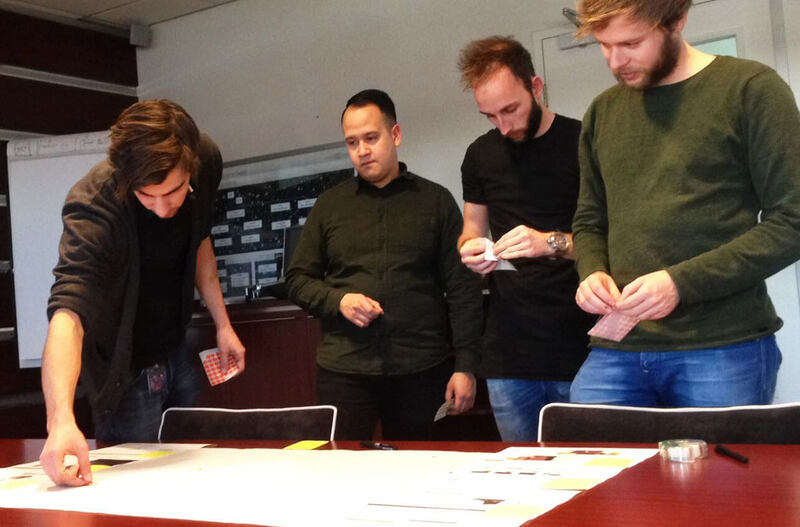 They came to Lukkien with the question: how can we let our target group experience our brand through our website? Since we wanted to create maximum result within a minimum amount of time I defined a few workshops based on the Google Sprint method. These would get us everything we needed in order to create the best experience possible. 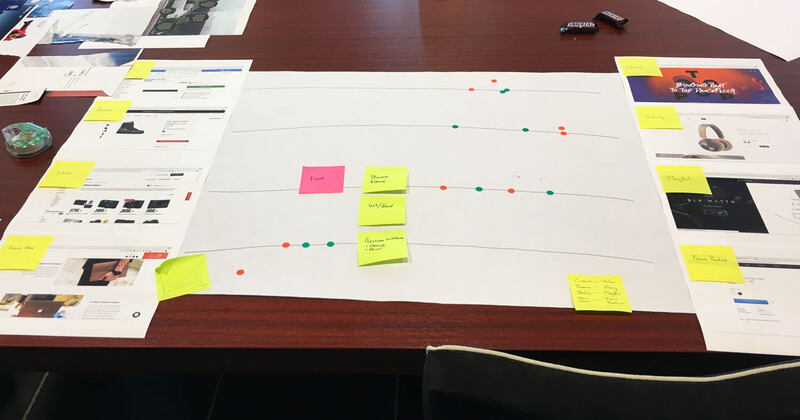 Our first workshop was ‘Map & Target’ in which we mapped the current experience of some pre-made persona’s. 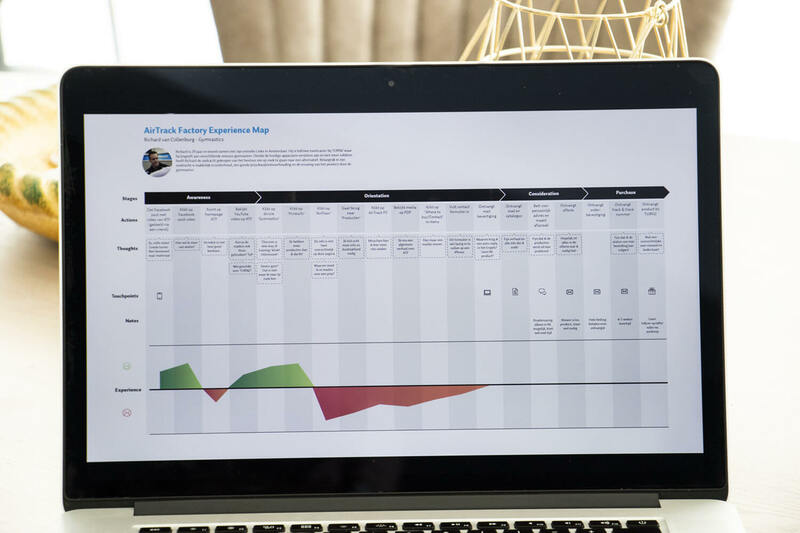 The main goal was to get the background, understand the user and map the experience. 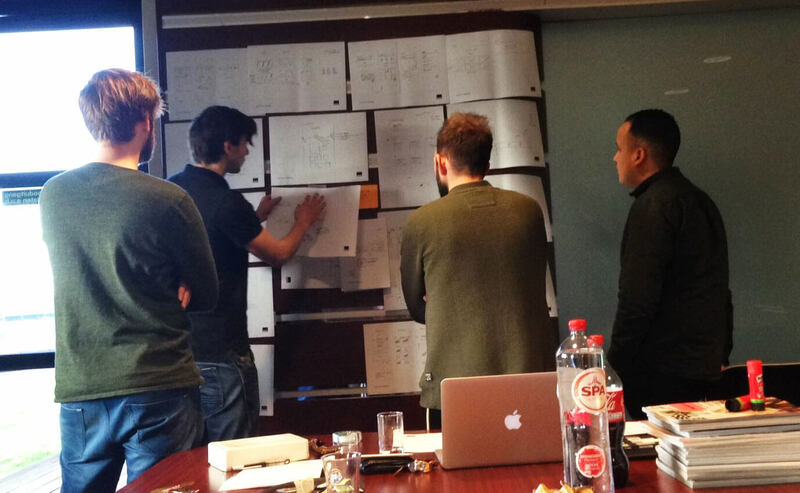 During this workshop we also shared the new buying experience for AirTrack Factory. How should it feel like? 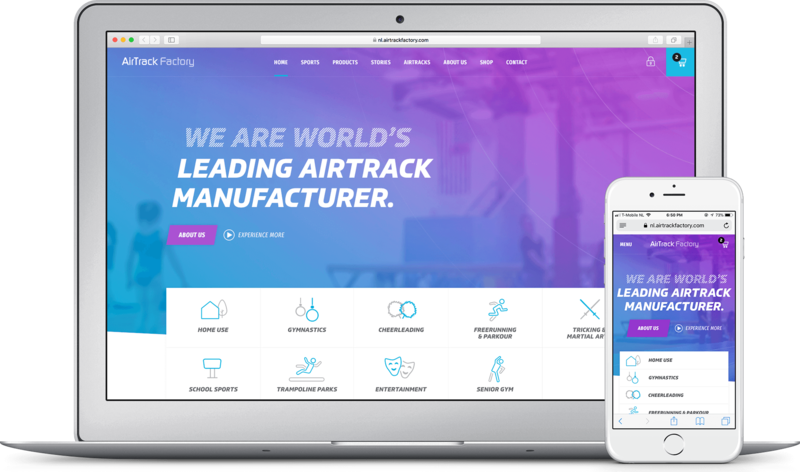 What does it mean to buy something at AirTrack Factory? It was nice to get all the heads in the same direction and a great start of the project. 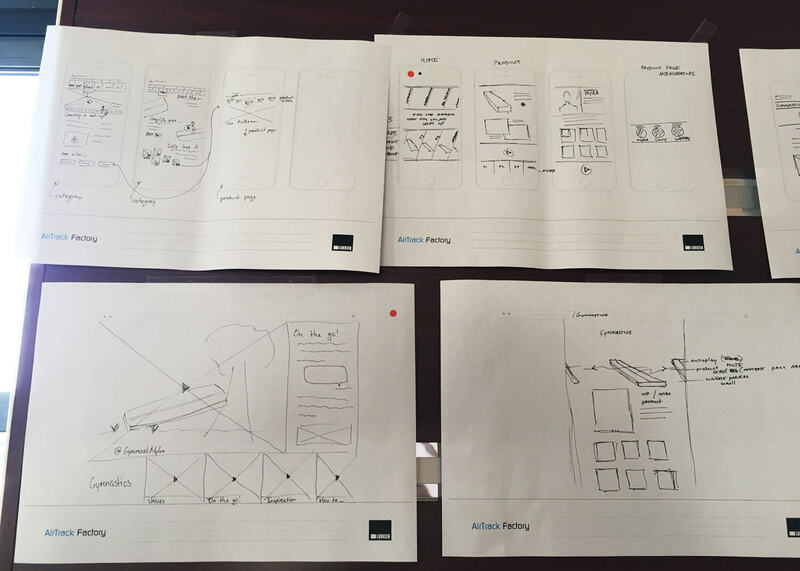 All the input we gathered from this workshop was also used in the second workshop: Sketch & Design. What really helped us during the whole process was the core of the brand. AirTrack Factory isn’t some new kid around the block and customers know what to expect. AirTrack Factory is a top brand and wants to be perceived this way. Users need the guarantee that their products are top notch and that service will always be provided. Everyone should have fun using the products of AirTrack Factory. From ordering, setting up the AirTrack to actually using it. It’s important for their user base to share their experience of the product on social media, mainly Instagram. One of the important aspects when using an AirTrack is safety. 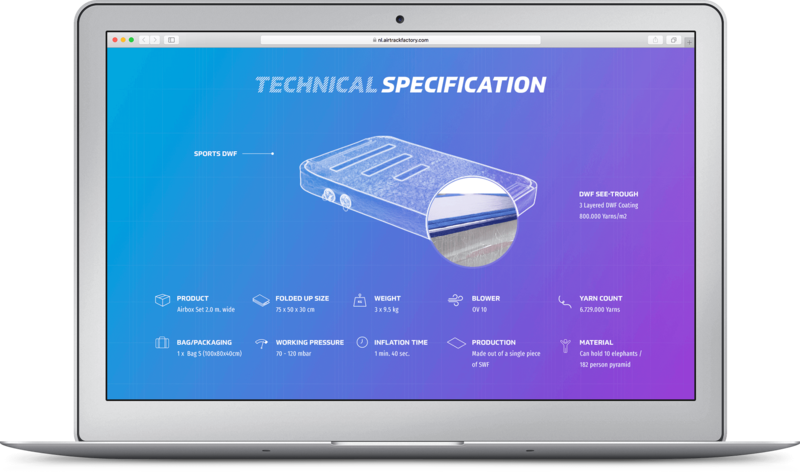 AirTrack Factory makes sure that every product is tested at least 3 times. They also worked on a special leak prevention technology and they perfected every detail, from the valves to the handles. With the products of AirTrack Factory you can get the most out of every jump. You can learn, improve and be how good you want to be. 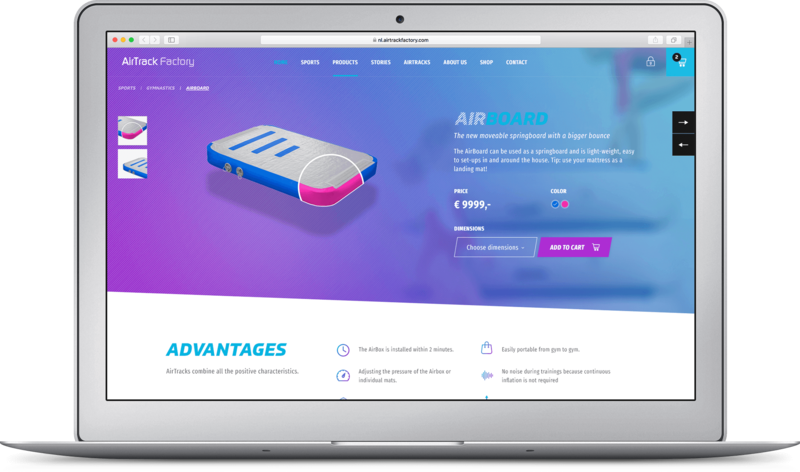 The AirTrack Factory community supports you in that process and the products are your tool to level up! Based on the input and direction we chose in the first workshop, we were ready to generate solutions. Since we worked really closely with the guys from AirTrack Factory, we did a co-create session. Based on ‘how might we’ questions we would have 10-15 min. to sketch as many solutions as possible, either desktop or mobile. We then shared our thoughts and used stickers to define the best ones. Part of the second workshop was also looking at the brand identity. How should the brand and website look? Is the brand more static or playful? For this we used ‘brand sliders’, where we discussed our thoughts. 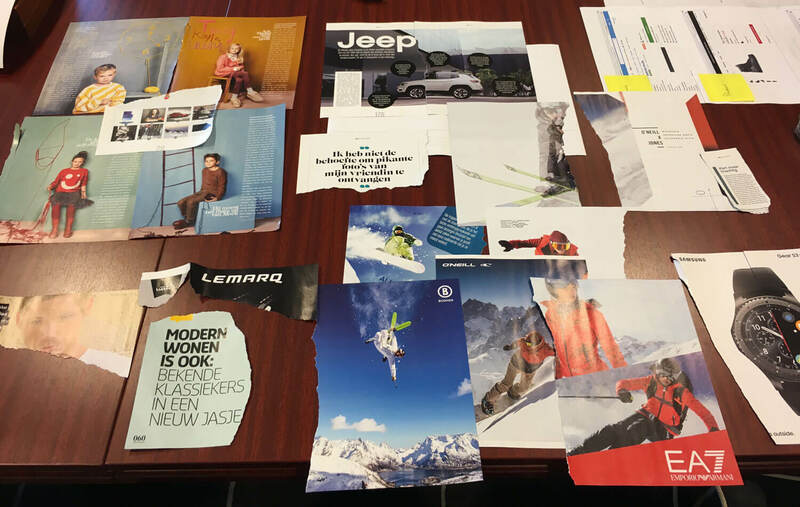 Another way to make the brand more visual was an exercise where we all made mood boards. The client felt really engaged in the process and the outcome was perfect for us to start with the visual design. 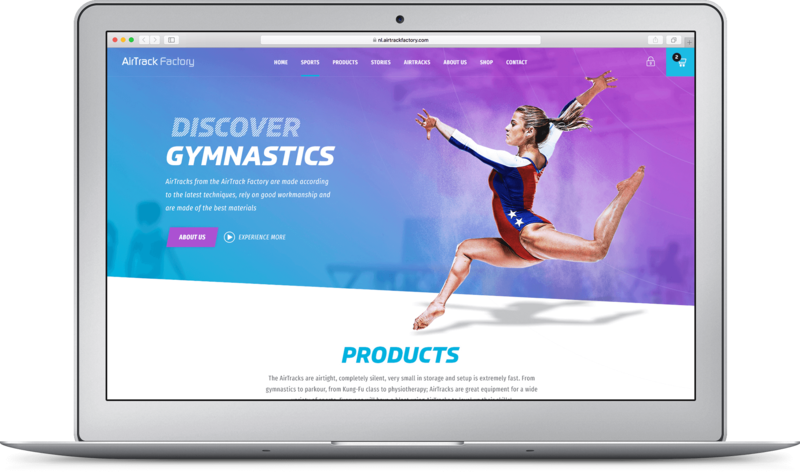 After an iterative process we came up with the final look and feel of the website. 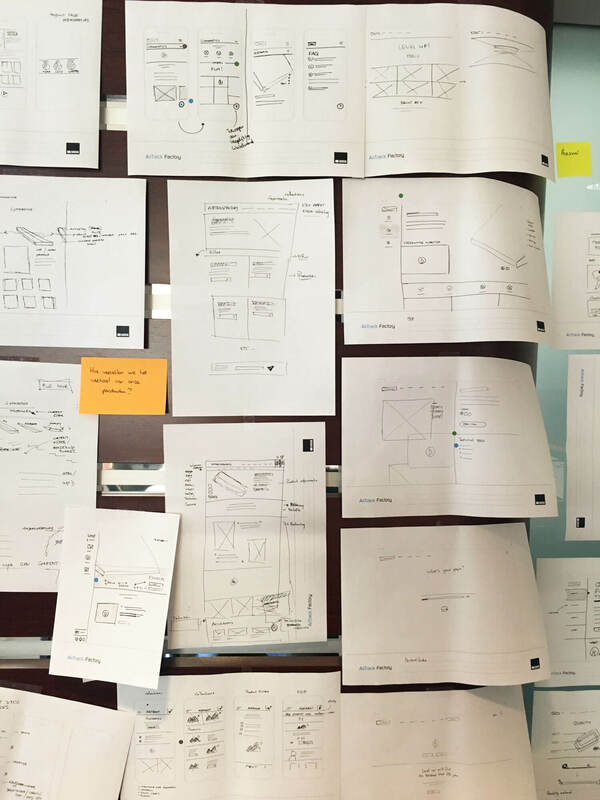 The design process wasn’t easy because we wanted the visual design to be next level. We didn’t want it to have a template look and feel, so creativity and innovation were necessary. Luckily we had a client that had high standards and pushed our boundaries.